I've mentioned before that my Stoic practice is informed by an atheistic outlook. I do not believe that Stoicism requires Zeus or providence to hold up as a coherent philosophy. That said, both god and providence are woven throughout ancient Stoic thought. 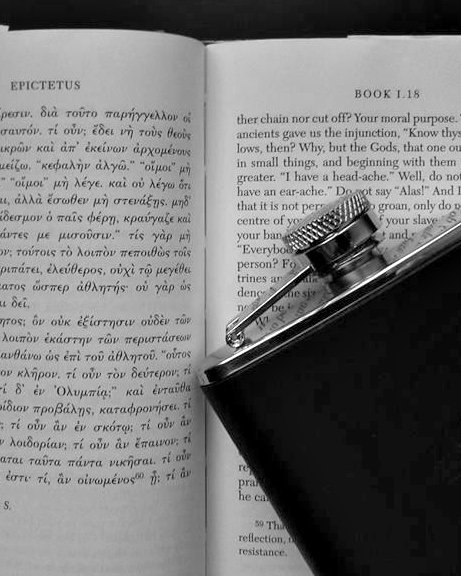 With that fact in mind, a group of modern Stoics has recently founded the Society of Epictetus. Their organization will promote the religious aspects of Stoicism and support those Stoics who are drawn to the theological side of philosophical practice. If the spiritual thoughts of the early Stoics speak to you in any way, I recommend checking out the society's website. In particular, read the three papers made available in the references section if you want to learn a bit about the Stoic conception of god. There are two reasons that I am interested in seeing this organization take off. The first is that I can not join it. The second is the creation of a Stoic seminary. The Society of Epictetus has devised a beautifully succinct doctrinal statement. It reads simply, 'the Cosmos is conscious and providential.' If you can assent to that sentence, you can join the group with good conscience. As I can't agree with any part of it, I won't be joining. I'm not put off by that fact, I find it refreshing. I think the founders sculpted a phrase that perfectly encapsulates the spirit of Stoic religiosity. I would annoy me if their stated doctrine was so wishy washy that I could join up with no issues. As to the seminary, I am happy that their will soon be true Stoic officiants for major life events. Stoicism has worthy thoughts concerning life, especially for the end of life. I myself have looked into becoming a humanist officiant or a death doula. I'm glad some Stoics will be afforded the opportunity to serve through this organization. If you're a Stoic who believes in a providential universe, take advantage of this chance to help shape a new Stoic project. Be sure to let the rest of us know how it goes. Tagged with theist, non-theist, organization. March 10, 2015 by Matt Van Natta.